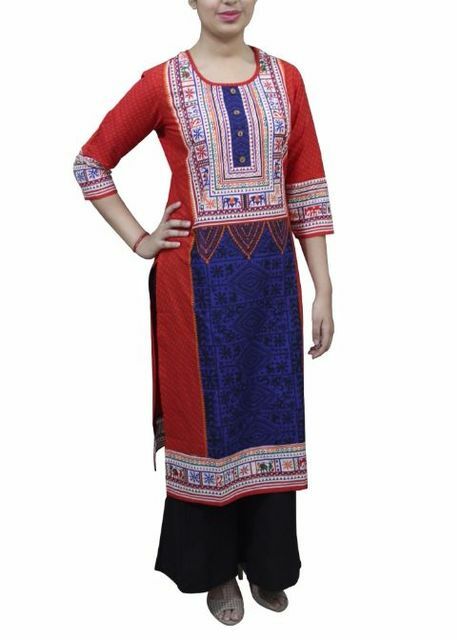 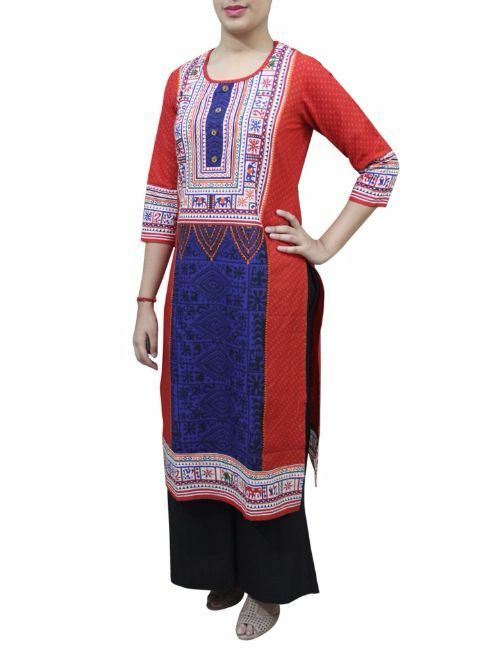 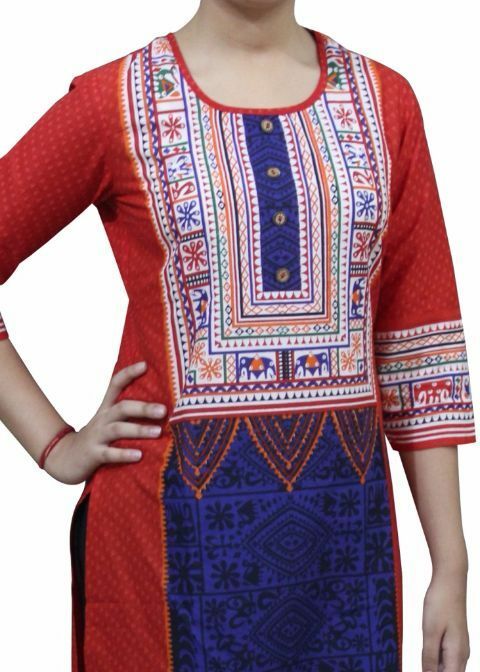 Give your ethnic attire a fashionable twist by wearing this kurti from MAHRIN. 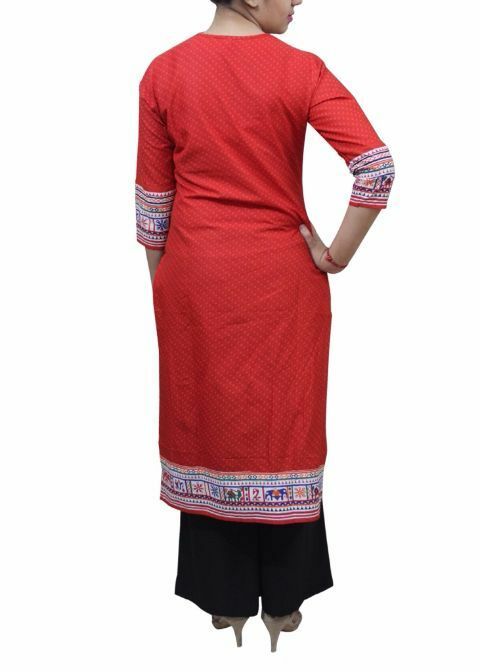 Made from cotton, this kurti features a stylish print over front and full back area which makes it even more appealing. Team this kurti with matching bottoms and stiletoes for a chick look.